iv) Reliance Life Insurance Co Ltd saw its lapse ratio almost double—40% in 2009 against 21% a year ago. iv) Life Insurance Corp of India (LIC) declined to 4% for 2009 from 6% in the previous year. In absolute terms, nearly 7.3 million traditional policies worth Rs52,926 crore lapsed. Almost half the conventional policies that lapsed in the industry in 2009 were sold by LIC. If this is not rampant mis-selling, I do not know what is. Most insurance companies do not repay or refund anything, if the policies are less than three years paid up. After three years, the agents’ commissions drop to ‘small’ levels of 2.5%-5%, so he cares two hoots. He would rather tell the fool (the client) to take a different policy after ditching the old, since it would give him a higher commission. The great thing is that the paper quotes the Max New York honcho as saying that it is not mis-selling but “it indicates a lack of understanding on the part of policyholders”. Sir, who delivers the ‘understanding’? Most insurance companies have a scheme or a process to ‘revive’ lapsed policies within around three years of the last premium paid. After that, they quietly pocket the money. So, for an insurance company, it actually helps if clients default on policies that have not acquired any surrender value. Probably, they must be hoping for this to happen every year and would be part of their business goals for each year. Probably, they reward agents who bring in such kind of clients into their web of deceit. i) When policies lapse, blacklist the agent/withdraw his IRDA code, so that he can get no more commissions and sell no more policies. This is the best way to ensure that the mis-selling stops. ii) When there is a lapse, the insurance companies should refund the amounts collected less the charges they have actually incurred. For instance, if I have paid Rs2,000 per year for two years, I should get a refund of something like Rs2,000-Rs3,000. This should be made statutory and any violation should result in a heavy penalty on the insurance company. iii) A list of lapsed policies should be put online compulsorily. iv) Surrender values should be made compulsory even for a one premium old policy. Why should the insurance company rob the payer? The other option is to explore if third-party buyers of lapsed policies can emerge legally. Maybe they can take a call on whether to revive the policy and take the assignment in their favour and continue it. All possibilities exist. I am sure that the IRDA will do zilch to resolve this issue. It is high time that the finance ministry stepped in and passed the supervision to another body where the insured is also taken care of. If SEBI can handle mutual funds, I am sure it can handle insurance also. After all, every product they sell (except the pure term policy which they hide) is an investment product with some optional insurance. Actually - I am not against policies being sold by agents. I am simply arguing that there should be a facility to buy policies directly, for people who are well informed and capable of planning their own finances. LIC policies cant be bought except through agents. 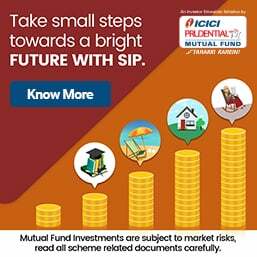 Look at mutual funds, you can buy through an agent and pay a certain amount of premium (lets say Rs.5 over the NAV, per unit - now that entry loads are abolished). That's besides any rate you work out with the agent. In response to Mr. Suresh R.
Sir, If I read you right, you seem well versed with the financial services industry. Apparently - you approve of insurance as an essential component of one's savings/protection portfolio. I agree with the fact there are many instances of mis-selling that happens - a phenomenon that exists purely because the buyer is not well informed about the concept per se. In all fairness - Insurance companies are doing their best to ensure strict compliance to benefit/solution based selling; granted - there is ample room for improvement and things will improve as the market (and the average consumer becomes more and more aware); in the meantime – look at it as a necessary evil – a means to an end! As to the gentleman who mentioned customer acquisition cost .. that is mostly because of solely selling policies through agents, who then get fat commissions of upto 40%..60% of the premium paid for the first 3 years. Start selling the LIC policies online (just like you can pay LIC premiums online), with KYC procedures done at the branch and see much better value to the customer. In fact many agents will pay the first one or two premiums in the policy .. giving up a part of their commission to the policyholder and still leaving themselves a comfortable profit margin. If agents are able to shell out the first one or two months premium .. you will see that this so-called customer acqusition cost is a giant racket in padding up premium costs and ripping off the general public. I am in complete agreement with Mr.Balakrishnan here. Agents - especially those who go around convincing people to heavily overinsure themselves (to about 90,000 to a lakh in premium per annum - often in loss making to the insured but high commission to the agent schemes) are the root cause of this.problem. I on the first instance don't agree to the subject. Insurance Company as well as agents looks for the interest of the insured (clients) and not on the premium or commission paid. This do happen due to some unethical practice done by some insurance companies who introduced Event Managements Companies to sell insurance. This needs to be taken care by the regulators. Clients needs to be educated and not forced for higher premium ie more than his / her capacity. As we have Cibil same system to be introduced so that the blacklisted agents & insured can be crossed checked by other insurance company, before underwriting the proposal. Policy Holder has to be more aware of his need and should approach the right counsultant / advisor. With all due respect - your article (in my opinion) is misleading and entirely misguided to say the least! You somehow completely miss the fact - It is in the insurer's best interest to retain customers over the entirety of his/her policy term! Mr. Balakrishnan - you should instead resort to advocating better levels of persistency by exhorting the lesser informed public to keep renewing their policies! We can always get into an endless debate on who's making what in a poorly developed Insurance market - bottom line - Insurance is an absolute essential - so long as policy holders don't understand the intrinsic benefit of protection (for self & family) - he'll never be inclined or motivated to keep the policy - in such instances - the fear of losing money already invested (if it's a savings related insurance product) is sometimes used as a motivator to keep the policy in-force. You're right in that the policy holder loses out - you're not helping build peoples' awareness levels by spreading unfounded negative sentiments. Govt. 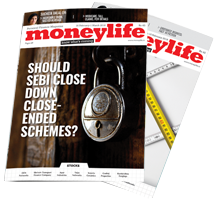 should take initiative to spread the awareness through print and electronic media without waiting for IRDA action under the campaign "Jago Grahak Jago"
Dear sir, I am a regular reader of your article in Moneylife. I am an insurance agent for life & general. I am doing this for past 6 years. Till date I never allowed any of my customer to goto branch for renewal payment or any other services. I recently shifted to Bangalore from Chennai. (2 years). Everymonth or alternate (according to the due date) I am going to Chennai, collecting premiums and depositing in branch. Your above article shows that agents are there to get hefty commission and not for the service. A lot of agents are there making good relationship with the policyholders.